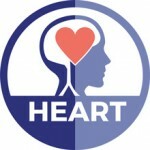 Thank you for enrolling in the OI HEARTraining®. It is not a requirement to have participated in a somatic training program. A college degree or equivalent professional experience is required to attend the training. What is your single biggest challenge in work or practice? What do you expect to get out of the HEARTraining? By submitting this application, I certify that all the information included in this application is true and complete. I acknowledge that Organic Intelligence® reserves the right to approve or deny any application, revoke approval at any time, and approve or deny the participation of any person, in its sole discretion, with or without cause, and in accordance with its policies and the law. I understand and acknowledge that for enhanced learning purposes each HEARTraining will be recorded and will be made available to HEARTraining students as an additional learning tool, and that class recordings will be securely stored. By submitting this application I authorize Organic Intelligence to record the classes I attend.